As you drive west from the development of metropolitan Washington, D.C., the rolling hills of the eastern panhandle of West Virginia provide a welcome respite. This is the northern expanse of the Shenandoah Valley and was considered the “bread basket of the Confederacy” during the Civil War. Jefferson County, West Virginia is still predominantly farm country growing more corn, soybeans, and wheat than any other county in the state. The rolling farmlands present excellent pastures and dairy farms are very common as well. West Virginia’s eastern panhandle is also the closest part of the state feeding into the Chesapeake Bay watershed. The Shenandoah River flows through Jefferson County on its way to meeting the Potomac River in Harper’s Ferry; from there the water quickly moves downstream into the Bay. Because of its proximity to the Potomac River and the Bay, this region was designated as one of the greatest contributors of pollution to the river due to runoff from agricultural lands. In addition, with the continuing sprawl from the Washington, D.C. metro area, West Virginia’s panhandle is now considered a “bedroom community” and retirement area for former Washington metro area residents. As more people move into the region, farmland is rapidly lost to development. The Natural Resources Conservation Service and U.S. 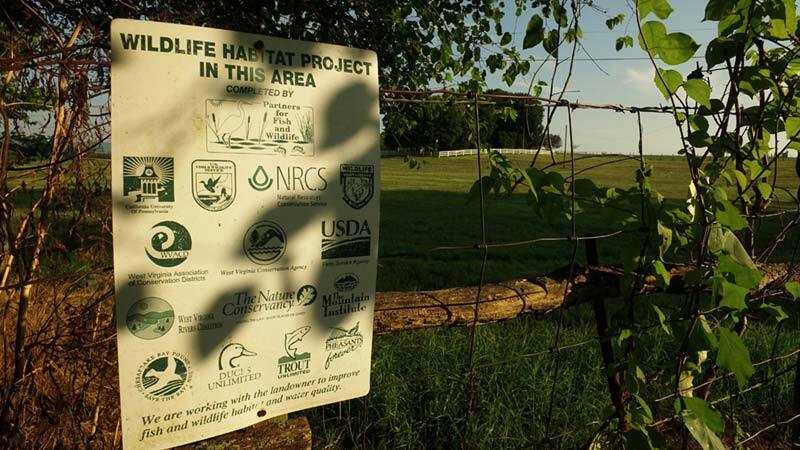 Fish and Wildlife Service’s Partners for Fish and Wildlife program recognized that to reduce runoff in West Virginia’s eastern panhandle, they needed to work directly with private landowners. Developing a relationship and working to find a solution that is good for everyone helps to leverage cooperative partnerships that clean the water, protect the soil and conserve the landscape. Warren Mickey was approached to fence the creek running through his farm to keep his dairy herd out of the water. Like many farmers in the area, Warren was cautious about working with federal agencies and was concerned about specific limitations in the original proposal. Sitting down with the U.S. Fish and Wildlife Service’s field office project leader, John Schmidt, opened the door for Warren. John helped identify specific concerns and developed solutions that worked for the watershed and for Warren. They found a way to fence the creek with appropriate buffers for Warren’s cattle and providing several new stream crossings while still improving water quality. 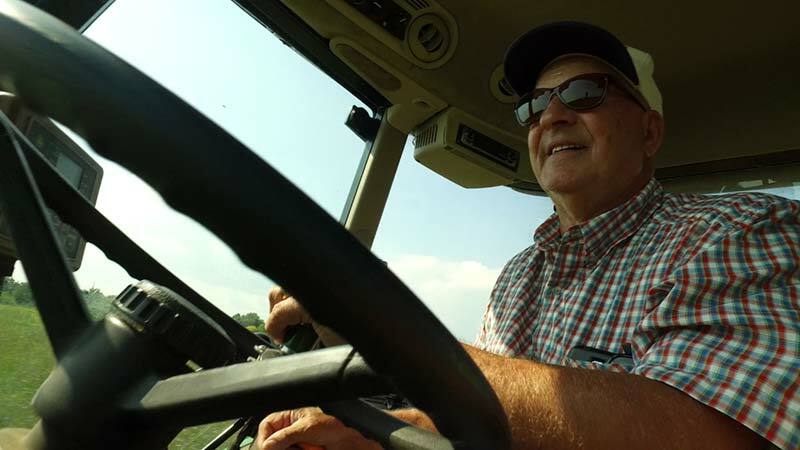 Most farms in the region have also transitioned to no-till agriculture and collaborative projects are helping to manage nutrient levels from croplands. To combat farmland loss to residential development, Jefferson County established a farmland protection program that utilizes a tax on real estate transfers to fund conservation easements that protect working agricultural properties. These easements allow the landowners to continue to live and farm on the property but restrict future development. Partnerships have been critical to working with landowners in West Virginia’s panhandle to improve the health of the watershed and maintain the agricultural landscape. The Natural Resources Conservation Service, Farm Services Agency, and U.S. Fish and Wildlife Service have supported efforts by collaborating directly with landowners and providing funding through federal conservation programs. In addition, groups like Pheasants Forever, Trout Unlimited, and farmland conservation groups have been engaged as has the Indiana University of Pennsylvania. Farmers in the region have seen improvements to their herd health and their cropping practices. Importantly, there have also been improvements to water quality and a recognition of the value of collaborative conservation efforts. Farmland preservation efforts have also increased and Jefferson County’s Farmland Protection program has protected more than 4,000 acres since it was established in 2000. These efforts are helping to maintain the agricultural heritage of rural communities in West Virginia’s eastern panhandle. Learn more at West Virginia Conservation Agency – Eastern Panhandle District. Jefferson County, West Virginia has the second highest number of tillable acres in the state and has more than 500 farms of which 90% are family owned.